1970 was the year I graduated from high school and the year I started attending Virginia Commonwealth University art school. My passion was photography but at that time, believe it or not, photography courses were not offered by the art department. Photography was just starting to be recognized as a legitimate art discipline. In my freshman year I took many different courses, painting, sculpture, art history and the like. At the start my sophomore year I had to decide on a major. I picked sculpture so I could use photography. That sounds crazy but there was a guy that majored in sculpture and was a film maker so I figured it should work for me. As it turned out I left college half way through my second year but that’s another story. This blog post is about the summer job I took in 1971 before returning to what turned out to be my final semester at VCU. The job was cutting grass at Calvary Cemetery located in Norfolk, Virginia. Calvary Cemetery was established as a burial ground for Norfolk's African American citizens on January 9, 1877. Calvary spans more than 68 acres of green space in a pastoral setting. 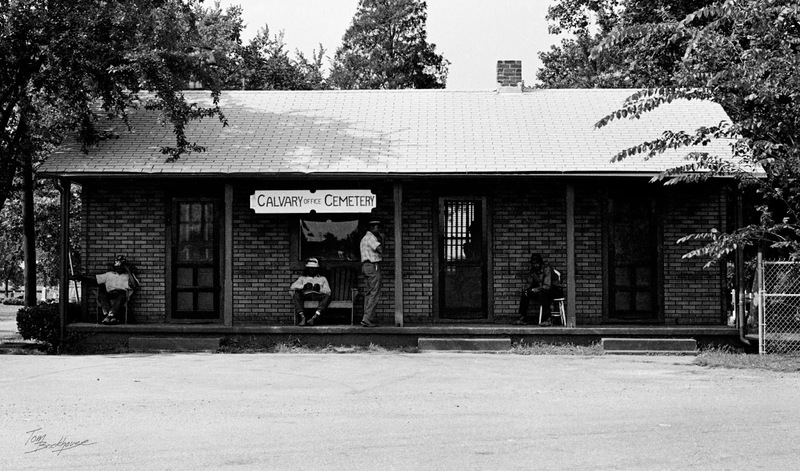 For nearly a century, most of Norfolk's African American citizens were interred at Calvary as there were not other burial options available to African Americans in Norfolk until the mid-1970s. I am not African American (from this point on I’ll use “black” because in 1971 you were black or you were white). I’m as white as you can get. 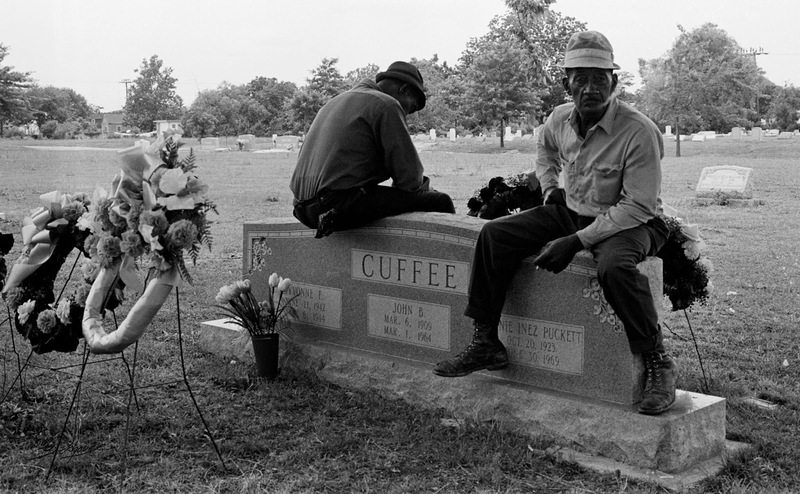 Try to imagine a white 19 year old long haired kid working with an all black crew in a cemetery just for blacks in the south in the early 1970s. You might imagine that there was tension and distrust but actually there was none of that. Those guys were friendly and accepting of me and I was never treated badly by anyone who worked there. 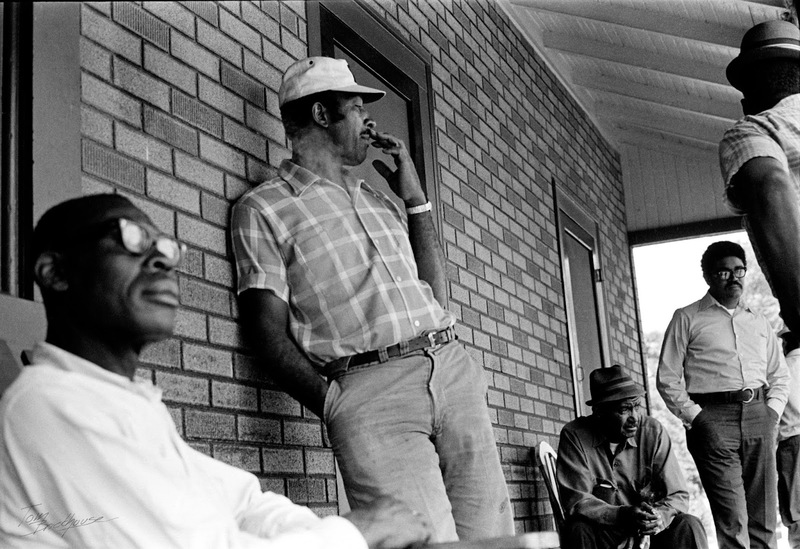 It was a great experience for me, a young white boy, to work with these men of color. One day I decided to take my camera to work. I took pictures every chance I got (usually when we were on break). The guys joked that I must be a spy for the city because the only time I took pictures was when we weren't actually working. I can no longer remember these guy's names but I'm glad I took my camera that day. Click on the link below to see more photographs I took that day at Calvary Cemetery.